Rising star Cory Rotenberg is quickly making a name for herself in the industry as an up-and-comer in the world of celebrity hair styling. After graduating from the elite Paul Mitchell School in 2008, Cory began to assist well-known celebrity stylist Dean Banowetz, behind the chair with his celebrity clients including, Carrie Underwood, Ellen DeGeneres, Leeza Gibbons and Jennifer Hudson. Today, Cory continues to work alongside Dean as his right-hand woman and protégé, while lending her expertise and savvy hair styling skills to support Dean’s role as the brand development expert and the face of InStyler hair styling tools, which includes the company’s iconic styling tool the InStyler Amazing Rotating Iron their latest styling tool, the TopStyler Heated Ceramic Styling Shells. Cory serves as an expert stylist for the brand, lending a helping hand to everything from styling at celeb-studded events to educating the media on this remarkable tool. Cory continues to build her reputation as a go-to hairstylist in Hollywood and is also carving her own niche in the world of television. Her work has appeared on-screen for top-rated television shows such as E! News, EXTRA, Martha Stewart and Good Day LA She has also played an integral role in the creation of several commercials and infomercials for the hair industry. 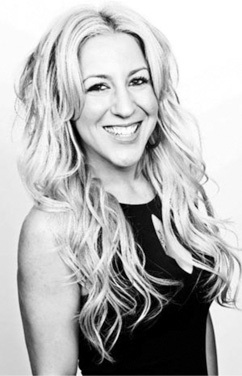 In addition to working with Dean, Cory serves as a stylist at the prestigious Angus Mitchell Salon in Beverly Hills, where she demonstrates her expertise and versatility in a variety of services including cutting, styling, coloring and consulting with clients. Cory’s hard work, dedication and skill coupled with her enthusiasm and passion for hair is paving the way for a successful future.